I need a lot of repetition to understand things. I struggle to process the world around me. I fight depression and anxiety. Yes, these traits are frustrating, but there is an upside to all of this as well. I’m curious and I want to learn. I think deeply and feel intensely. 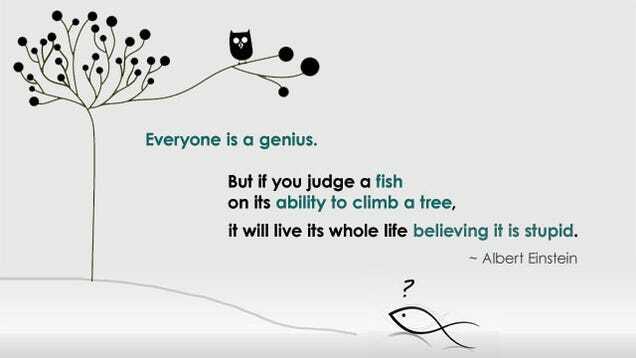 Everyone has strengths and weaknesses. It can be easy to forget this, and see only the flaws. I’m trying to accept myself and be at peace with who I am. This is a process. I find it frustrating that I learn slowly and I need so much repetition, but this is how I learn. This is okay. I need to give myself extra time to learn and process. People misunderstand me. People criticize me. Yes, it’s painful. It’s confusing. It’s frustrating. with giving yourself excuses to wallow in weakness. There is a difference. Let me show you. I wanted to play guitar, but I struggle to memorize, have no natural sense of rhythm and I believed that I could never learn to read music. So it seems like I shouldn’t play an instrument, right? No, it means I’m going to have to compensate for my weaknesses. Will it be a painfully slow process? Yes. Will I learn? Yes, eventually. Maybe even learn, forget and relearn. Because of my poor memory, I’ll always have to have my music in front of me when I play, even though it seems like it should be memorized after playing it hundreds of times. I forget chords often, so I look at my chord chart, however many times I need. The bottom line is I can play guitar. I do this because playing music makes me happy. Yes, I learn slowly, but I am learning. My only other option is to never learn anything and I don’t like this option. Does learning slowly mean I’m wallowing in weakness? Are compensations for the way I process information ‘crutches’? Here’s another example. I write, despite the fact I can’t spell, despite the fact I’m not good at remembering grammar rules, and I struggle to organize my thoughts into writing. You know how I do it? I’m not afraid to ask for help. I have my friends and family proof read for me, to catch grammar and organization issues. I’ve realized that don’t have to be all things for myself and this is okay. In the real world, people are meant for each other. We aren’t meant to rely only on ourselves. Let people help you. It’s good for you and it’s good for them. So, don’t try to climb the tree because that’s not what you were made for.